If you’re looking to grow your business profits, then you’ll find this letter very valuable in helping you make more money, without working harder, and in less time than you’re spending now. You’re going to discover a proven “step-by-step” system that can easily increase the profitability of your business by 50% or more within the next 6-12 months, and with little or no more marketing costs than you’re spending now. You’ll learn how to create, design, master-mind, implement and manage these profit-producing concepts and strategies into your business. And no matter what industry you’re in, these strategies and concepts will get you more prospects, customers, sales and profits. Hi, my name is Mark Hendricks. I’m a business and marketing expert; sales copywriter; joint venture specialist; software developer; an author, speaker, consultant, mentor, and success coach. For the last 25 years, I’ve been using my proven marketing secrets in my own businesses to personally sell millions of dollars of products and services, as well as help other business owners get more predictable and profitable results in a wide variety of industries. I work and live with my wife on our horse farm, hidden away in the rolling hills of Trilby, Florida. Using the internet since 1994, my advice, articles, and publications have helped thousands of people world-wide to get more leads, customers, sales and profits that creates the kind of business that provides you and yours with the lifestyle that a successful and thriving business can provide. I don’t tell you this to brag or boast, I only mention it because we’re going to talk about something very important to you and your business success, and I want you to know what I tell you is true and reliable. Do you remember when you first decided to go into business? Maybe you used to work for another company doing what you’re own company does now? Maybe you came up with a new idea that solved a problem you saw in the marketplace and now you’re providing the solution or a new and improved solution to that problem? Maybe you bought a franchise and you’re now the owner/operator? Maybe you graduated from college and started your own practice? and still try to have something you’d call a life too! You basically wore all the hats, didn’t you? Did you know that 30% of all business startups don’t survive over two years, and over half of all businesses never get past the five year mark. And do you know what the “experts” say is the most common reason for business failure? They think you should be using your own money and getting loans to finance your business. I think you’re much better off growing your business as much as possible using your customers’ money that they pay you, reinvest some of the profits in more marketing and continually leverage up your business growth using customers’ money – without risking your money or getting maxed out with debt in credit lines with your banker. If you think in terms of this new paradigm mind shift for a moment, you can immediately see where you need to be focused as the leader of your business. And that is… your attention should be to focus on attracting more prospects, convert them to paying customers, get them to buy again from you, and refer their friends to you – and repeat this process by developing and installing marketing, operational, and financial systems into your business that will consistently do this time and time again, like a fine-tuned “autopilot customer-attracting and repeat business profit machine”. You see, most business owners I come across don’t have the time or expertise in marketing to really leverage all the upside profit potential that lies hidden in their business. In plain talk, they’re already “wearing too many hats” and just too busy working in their business rather than on their business, to make it as profitable as it could and should be. So who do you turn to for help and advice? a sales rep’s or deal killer’s advice on how to run yours? your expenses, and make a profit for yourself! But look, it’s not their fault… they’ve got their own business to think about, don’t they? And truth be told, they’re really up against the same kinds of problems you face every day. But here’s what I don’t get… why don’t they understand that you have those same problems too when they deal with you? You think they would have some real-world ideas to help you solve your problems. Maybe they have no clue how to really help you in your business and they’re just slogging through their day just doing it, doing it, doing it… like most business owners and executives do, not really having a clue how to get more leverage from all of their unrecognized assets that are hidden from their sight, right in plain view, just waiting for someone to show them how to put those marketing assets to work. So what makes this Small Biz Success Coach Program so special and different, and what's in it for you? That’s where I can help you the most. This is really a basic business concept, but unfortunately it’s at this level that some business people dismiss this as “obvious”, and don’t fully grasp this foundational truth of business building, therefore they completely miss out on how this simple concept will catapult your profits beyond what you are currently doing, and help turn your business into the profit-machine it can and will be. Let me introduce you to the magical concept of the “Magic Wand of Marketing Leverage” in helping you build your business. So you can appreciate how important it is to have an effective marketing program in place that leverages each of these three basic areas. 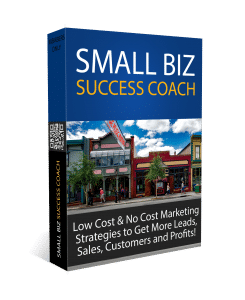 In each of these three areas you’ve seen work above, there are a number of strategies and techniques that can be used to leverage up each of these three basic areas even more, creating more marketing leverage to increase the profits of your company (these are the strategies you learn in the Small Biz Success Coach Program). So instead of only 15% leverage in each of these, it’s not unreasonable to think we could leverage one (or more) of these three marketing levers up to 50% or more! What would that do to the bottom line profits of your business? Can you say… Woo Hoo!!! So, you can really see the advantages of “Marketing Leverage” and how just this one concept can create astounding results in your business, yes? increase the rate at which those first three happen… equals more profits in less time! Mark, you've been an incredible success and business coach for me these past 4 years ... many thanks! Mark Hendricks is one of the real guys. He was able to understand and get to the heart of what I needed to do in less time than anyone I have ever met. The way he helped me get clear in my head what I needed to do, is more than hours of listening to audios, watching videos and reading other peoples stuff has ever done. I am looking forward to working with Mark on other projects and finally breaking through the barriers that have kept me from success. If you can get close to one person and get some of his insight – by whatever means possible – make it Mark Hendricks. I was absolutely blown away! What we accomplished in 15 short minutes was enough to keep me busy for months! Your perspective helped me really clarify some key elements of my strategy and your simple ’3 steps to bridge the gap’ guidance was dead on. Please feel free to use this as a testimonial because I want to say this DIRECTLY to anyone considering hiring you as a coach, mentor, or advisor… “Don’t think… just do it. Mark is the real deal and one of the few leaders in this market. He’s 100% bonafide, real deal.” Thanks again Mark. With the gift of insight, perception and forward thinking, Mark Hendricks was able to listen to my “day in the life of a feed store owner” and give me incredible ideas to grow my business. Mark takes the talents he sees in each of us and projects them into the business at hand, which in turn enables us to become more successful at our ventures, whether they are online or in a brick and mortar store. It's the 15 Minute Hurricane of Serenity. That’s what meeting with Mark Hendricks is like. Imagine clarity, simplicity and focus. That’s on the outside. Now think about the flood of ideas, the sudden knowledge of your missteps and your future direction. Imagine what joy and purpose this hurricane of thoughts will drive you toward. It only takes him 3 minutes to understand, to pull from you what you really want to be doing, to give you a goal you knew you already had. Mark is a magnet of purpose, he’ll bring it to the surface. He pointed out three action steps I could take to increase my conversion rates. It really was wonderful that he could pin point three items so quickly and when he did I totally saw what he said made perfect sense. At first I was quite skeptical at what I could learn but Mark really did surprise me. His advice was timely, specific and so very worthwhile. Thanks Mark for your very valuable generosity! I can’t thank you enough for your time. You created one of those life and business altering “AHA” moments during our conversation that was simple yet brilliant. I’ve been able to incorporate the information that I learned from you into different areas of my life as well as use it to help others. Thank you for sharing your wisdom, knowledge, and your immense generosity! In my session with Mark, he looked at one of my sales pages and made several suggestions about content and placement. I went through the list and implemented each suggestion. My conversions went up about 50% after that. If you ever get a chance to spend time with Mark, you should do it. "How can Mark make such a great offer?" You know, that’s a great question… let me give you my best answer. Over the years, there have been thousands of people who have wanted me to help them, and it’s really only possible for me to take on a few one-on-one personal marketing and success coaching clients at a time. But I also know there are lots of business owners who could really use some help in attracting prospects, converting them to customers and clients, and then developing those buyers into long-term profitable relationships. So I set out to come up with a way to help as many serious-minded entrepreneurs as I possibly can to become even more successful than they are already. This is exactly why I created this Small Biz Success Coach website and membership program. By creating this training and mentoring program I’m able to help more business owners learn and implement these proven strategies, and also help them understand and acquire the mindset it takes to be a successful entrepreneur. Let me be clear, I’m not trying to pitch you a pre-packaged marketing system. No, I prefer to teach you my jealously-guarded marketing and business secrets that I’ve discovered, tested and implemented into my own businesses and other businesses to generates millions upon millions of dollars of sales over the years. By doing this, I can implant these marketing and success strategies into your mindset, so you have the power to create more and more successful results for yourself, time and time again. That’s right, you can try out the whole program for only $67 per month – FREE. 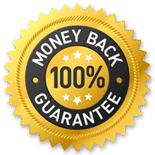 As you can see, there is a commitment on my part… and that is to be valuable to you, by continuously providing you with guidance and support as you grow your business using the business and marketing strategies and techniques that I reveal to you. I don’t like working with whiners, complainers, and quitters, so please don’t be offended when I say this… if that describes you, please don’t signup. I really do like people who take action on ideas and implement them to get the proven results that these strategies and techniques yield to those you really get excited about using them in their business… so take action and implement what I teach you. From time to time, we close off the program to new members. I’m not so much interested in quantity of members, I am more mindful of the quality of members. So if you click the Join Now link below and you find that we are not accepting new members at this time, I will ask you to remain on our email list and I will let you know when new members are being accepted. We also have a policy that once you are a member and if you decide to quit, then you are not allowed to join again later. This protects all of our members and myself too from those who just want to take and run, and those who do not want to be participating in a positive mindset mastermind group such as this. By the way, here’s one other reason to sign up today… at some point in the future I am considering limiting memberships within local areas for each business type, this is so you are not competing with another one of our members in your same geo-local market area for your same business activity. It’s been said that successful people make decisions quickly and make changes slowly. At first, I didn’t agree with that statement, until I realized that the decisions were made after a lot of research, thought, and gut checking… then it made perfect sense to me. Have you been searching for answers to get your business up and going like you know it should be? Have you been thinking about the things I’ve presented to you in this letter? And if I know what you’re going through right now in your life and your business, you’ve been doing some serious gut checking too, haven’t you? Look, whether you join today or not isn’t up to me, it’s really up to you. And it’s really not my style to keep pitching and pitching to try to convince you to take action. Either this program is what you need, or it’s not… and only you can decide that for yourself. Of course, I’d love to have you join in… it’s a life goal of mine to help create more “eagles” in the world – those successful entrepreneurs who can lead the way, who really make a difference in the quality of life of their customers, employees, community and their own families too. But if for some reason you’re not up to that now, I understand. But just know that the frustrations you’re having will still be there tomorrow, and the next day, and the next month and year too. Sadly, you’ll be missing out on what could have been… by not taking action today. Go ahead, be good to yourself… you deserve it. I wish you all the success that is yours and hope to hear from you soon. P.S. Interestingly, there’s one thing I already know about you for certain… if you’ve read this far, I know you’re interested in getting more prospects, customers, sales and profits from your business. It’s just a question of your willingness to take that small first step that’s necessary for you to experience for yourself the benefits you’ll receive from this truly one-of-a-kind program. P.P.S. Look, I could go on and on trying to “sell you” (and maybe you expect me to), but that’s not my style. You don’t have to decide now, just give it a try, implement a few of the concepts into your business, then you be the judge. That’s the best way I know to convince you this is the best business decision you’ve ever made.